The Villuerc as-Ibores-Jara Geopark shapes a mountainous massif of a wide extension, 2.544 km2 of surface, located in the south-east of the province of Cáceres (in Extremadura, Spain). The climate is Mediterranean with continental variation: warm and dry summers alternating with cold and humid winters. 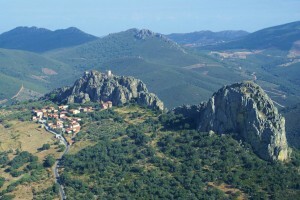 The highest peak in this mountain range is known as “La Villuerca” (1601 m), and gives the district its current name. It offers a magnificent view that includes the famous Monastery of Guadalupe. 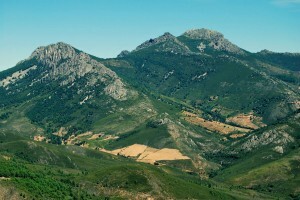 The rugged district of Las Villuercas represents an orographic core surrounded by ancient peneplains, and constitutes of a series of parallel ridge-and-valley systems aligning in a northwest-southeast direction. 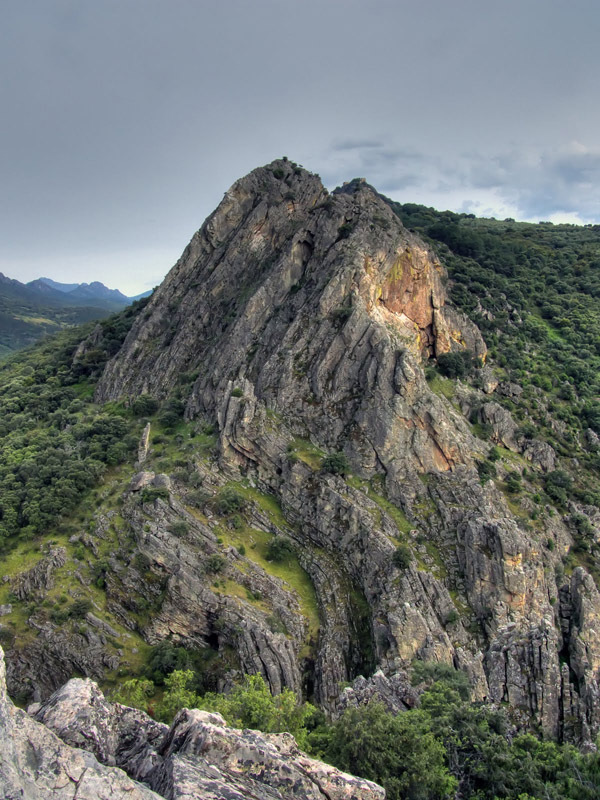 It was folded during the Hercynian orogenic movement, leveled by erosion throughout the Mesozoic and Cenozoic eras, and rejuvenated by fracturing with the rising and falling of blocks during the Alpine orogenic movement. Finally, the embedding of the current river network in this intensely folded and fractured territory has configured the main geomorphologic characteristic of the region, which is generally referred to as “Appalachian relief” as an analogy with the peneplain relief forms to be found in the Appalachians of North America. The paleontological deposits are a witness to one of the main events in the evolution of life: the origin and radiation of the earliest animals. The carbonated levels include abundant examples of genus Cloudina, a fossil characteristic of the terminal Ediacaran period (635-542 My). Cloudina is the earliest animal to generate a mineralized exoskeleton and is the precursor of the generalized biomineralisation that occurred in animals at the base of the Cambrian to allow them to colonise new tropic levels in that great event known as the “Biotic Explosion of the Cambrian”. The exceptional nature of the Ediacaran deposits is complemented by the fossil richness of the Ordovician materials, (Great Ordovician Radiation). The Ordovician sediments include fossil-bearing layers that show an outstanding abundance of trilobites, brachiopods, bryozoans, echinoderms, mollusks (bivalves and cephalopods), and graptolites. Forty-four geosites have been cataloged as ridges, hills and mountains, mining , faults, river valleys, paleontological deposits or places with special geomorfological features as synclines and anticlines. 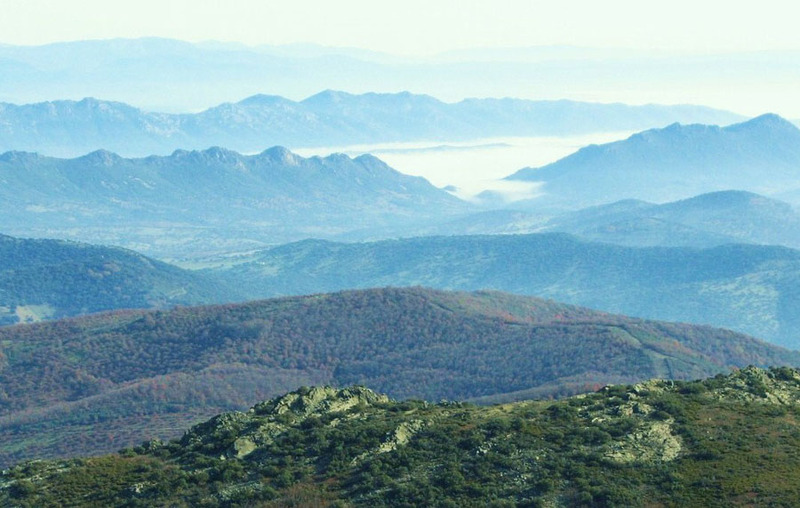 Specially remarkable are the peak of La Villuerca, the Santa Lucia Syncline or the Portillas of Almonte and Peña Amarilla due to their geological views. Many of them are also of cultural interest, having shelters and cave paintings. The Costanaza mine in Logrosán speak about the old mining industries in the region. Finally the cave of Castañar de Ibor has been declared natural monument in 1997 due to their impressive aragonite crystal formation. 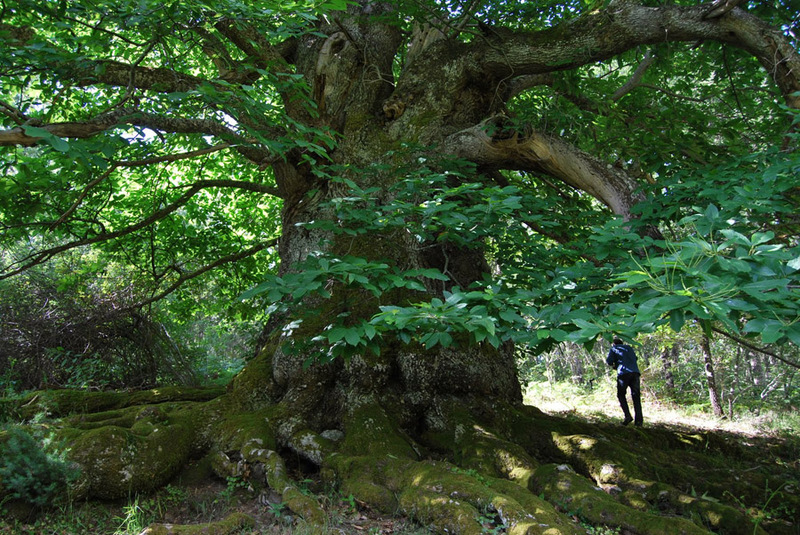 One of the assets of Villuercas-Ibores-Jara is the richness of its extraordinary natural heritage, which has been recognized by the European Union Habitat Directive: Seven Birds Special Protection Areas and eight Sites of Community Importance. This natural richness and wildlife heritage has led to the visit of an increasing number of ornithological tourists in recent years. The latter are attracted by certain emblematic species like the abundant cranes and raptors linked to the quartzite outcrops of the sierras: griffon, black and Egyptian vultures, black storks, eagle owls and golden eagles. More than forty cultural sites or events can be visited. 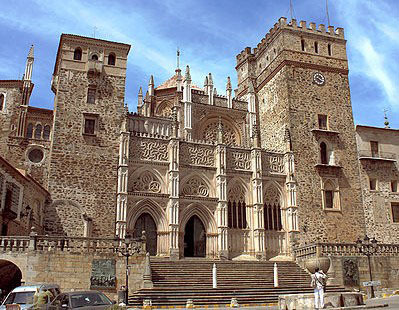 The Royal Monastery of Guadalupe is of special importance: UNESCO declared it a World Heritage site in 1993. Visitors can complete their travels tasting some high quality agro-industry products such as the goat Ibores cheese, the Villuercas Ibores honey, Ribera de Guadiana wines, the “Dehesa de Extremadura” ham and other pork derivates, the distinguished lamb and veal of Extremadura, cherries and the artisanal patisserie. Landscape, geology, vegetation, fauna, and the rich historic and artistic heritage combine and concentrate many different values in them that make a visit to the Villuercas – Ibores – Jara Geopark an irresistible invitation providing pleasure to all senses.